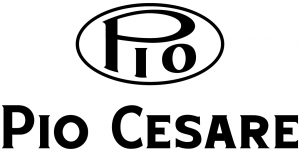 Pio Cesare own 52 hectares of vineyards in the hills of Barolo and Barbaresco, including some of the prime sites for growing Nebbiolo including 16 hectares of the ‘Ornato’ vineyard in Serralunga d’Alba, one of the best vineyards in the Barolo area. In 1985, Pio Cesare decided to select a small quantity of Nebbiolo from three different plots within the vineyard to create a Barolo that reflects the characteristics of Serralunga soil. The soil here is poor and compact, resulting in a wine of great structure and ageing potential. “Ornato” is only produced in outstanding years. The grapes are hand-picked. After pressing, the grapes are fermented in stainless steel with skin contact for 15 days and aged in mid-toasted French oak for 36 months, 50% in new barriques and 50% in 25 hectolitre casks. A classic Barolo, with excellent structure and harmony, mild tannins and balanced fruit. It is immediately approachable, but it also has a great ageing potential. Floral notes and tar combine with sweet cherry fruit and spice. Polished tannins and a long, mineral finish.